We are glad you are here. Thank you for visiting this website. It is dedicated to the Holy Spirit and to His work in each of us. The works of the Holy Spirit are shown in the Holy Bible, especially in the New Testament. They are also evident today, in the lives of faithful Catholics. Be filled with the wonder and awe of the Holy Spirit — the third Person of the Holy Trinity. Learn about and accept the gifts and charisms of the Holy Spirit. Cooperate with the prompting of the Holy Spirit in our lives. Use the charisms of the Holy Spirit for the good of others. 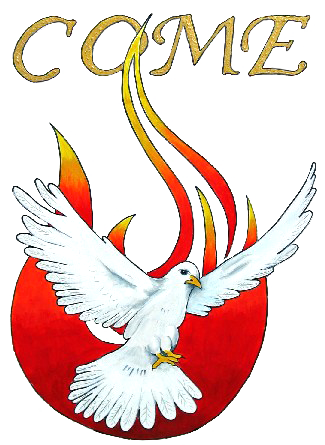 The role of the Western Oregon Catholic Charismatic Renewal is to help, promote, assist and encourage Catholics throughout the Archdiocese of Portland and southwest Washington to grow closer to Jesus and the Holy Spirit. We do this by developing and promoting conferences, days of renewal, healing masses, training, and providing support and encouragement to the local Prayer Groups. Browse a bit now and come back as often as you can. Expect the Holy Spirit to guide you and bless you each day! 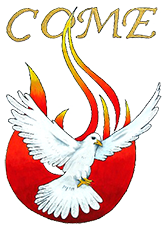 If you are new to the Catholic Charismatic Renewal or simply want to draw closer to Jesus and the Holy Spirit, we invite you to participate in one or more of the events listed on this page or the complete list shown on the “Events” page on this website.